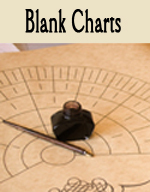 Check out the wide variety of Family Tree Chart options below. Give the gift of Heritage. unique position in their family line. even if it simply states the names of you and your children. especially a family that is creating positive changes. as their family makes an effort to grow and improve. "In every home, frame a family tree to strengthen your posterity." Take the time to start small if you need to. strengthen the "branches" of YOUR family tree.